Is there no better time than summer for corn? 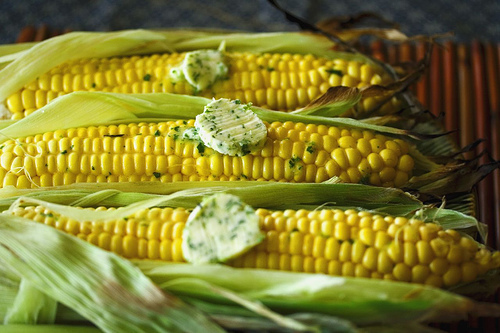 When you combine fresh, sweet summer corn and the grill you have the perfect combination! We love corn around our house, and eat it every chance we get. Summer corn fresh from the farmers market is the best! We love to grill our corn, and there was a time when I only boiled it. But once you start grilling, you'll never go back to boiling. Do nothing, Do a little, Do more, Do naked. How easy is this? Literally put it on the grill as is. Do nothing to it. The husks will appear to be burned, but that's ok, that's what you want. Just turn it often for about 15 mins. Take your corn and peel back the husks, removing the silk. Some would say to soak your corn for 20 mins. in water and drain. But I've found that you don't need to do this. Season your corn with pats of butter, spices, salt and pepper. Pull the husks back up covering the kernels. Take a look at these recipes from Williams-Sonoma for seasoned butters. Pecan, lime, chili, and Italian seasoning will have your corn go from ordinary to extraordinary! The next way is our favorite way! Steamed in foil on the grill. Easy for your guests to eat, because it's shucked and already prepared. Clean the corn and removed the husks. Coat with butter, salt and pepper and whatever seasonings you want. I've sprinkled a little Parmesan cheese too. Delicious! 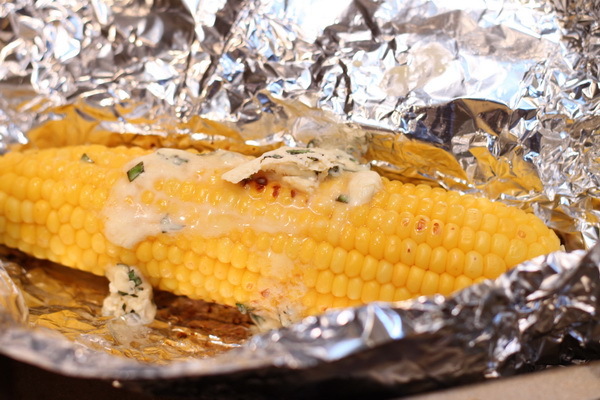 Wrap in foil and grill. The steam makes the corn so tender! 18-20 minutes turning frequently. That's it! Now I'm not talking about you. Unless you're in to that. But be careful!! That could be very dangerous! No I'm talking about the corn. Silly! 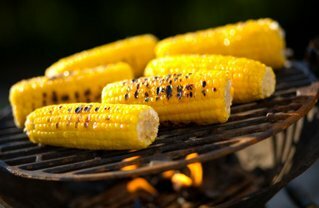 Just clean your corn and place on the grill. Turning frequently. Just be sure to watch it, because it can burn easily. 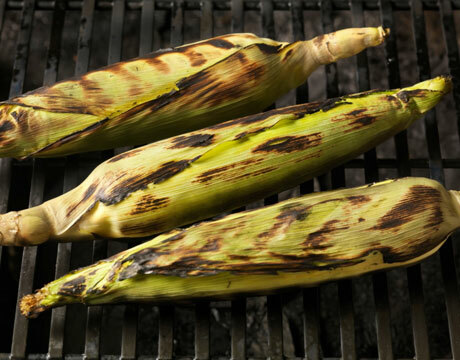 You want good char marks and the corn will blister in places, but that will give it that nice smokey flavor that you want. So there you have my corn 4 ways! Do you and your family love grilling out in the summer?